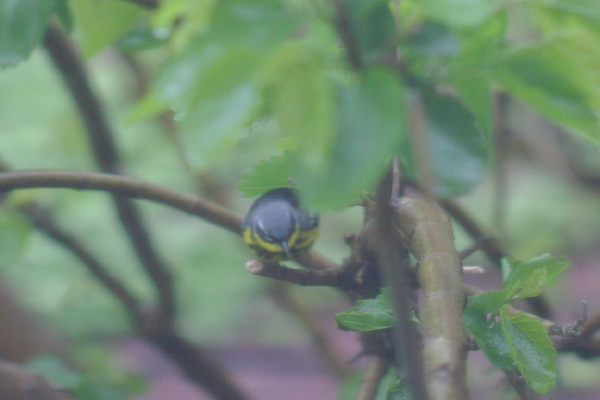 The other day when I woke up it was to the jumbled song of a Canada Warbler. At first I thought that it was a weird dream, the product of too much birding and not enough sleep during the month of May’s migration but then I looked out my window and wow! In rapid succession I not only spotted the Canada Warbler but also an American Redstart, a Magnolia Warbler, and, best of all, a Yellow-bellied Flycatcher! Several rather large trees grow behind my apartment building and reach the height of the fourth floor, making my third floor apartment windows, which are just over five feet tall, perfect for looking into the canopy. 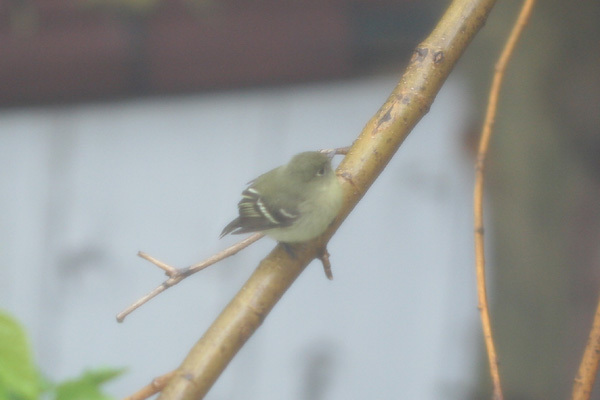 I never thought I would get to look at warblers from my window though, much less a Yellow-bellied Flycatcher, seeing as the birds have Forest Park to forage in only three blocks away from my building. 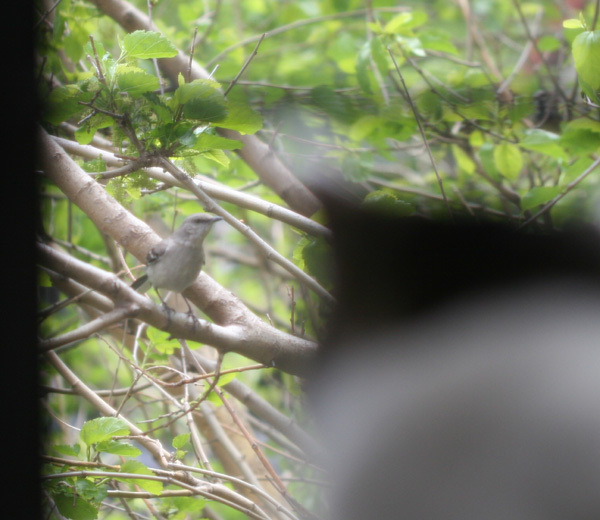 Hunter, one of the two indoor cats that deign to share the apartment with Daisy and me, spends hours in the window, mostly watching European Starlings and House Sparrows but sometimes getting a treat like an angry mockingbird. He knows bird song well, as I tend to play compact discs of singing birds, but he much prefers the real thing. And now that I have brought up Hunter I feel I would be remiss if I didn’t share his debut on I Can Has Cheezburger, one of my favorite places to visit on the web when I have some time to kill. Feel free to visit him on the site by clicking through his pic and vote him up so he might make the front page. Thanks for trying though, Jochen.